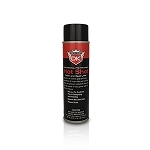 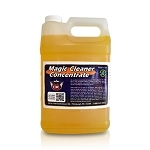 Detail King car interior cleaning products are formulated to be component specific. 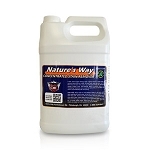 Besides being 100% biodegradable and environmentally friendly our best cleaner for car interiors are all fruit scented and contain optical brighteners. 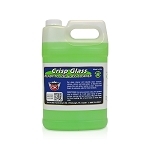 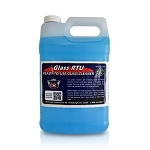 Our best car vinyl cleaner will effectively clean auto interior vinyl without leaving a chalky film. 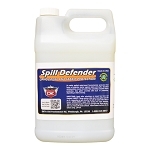 Badly stained auto carpeting and seating surfaces can be difficult to clean especially if you do not have the proper car interior detailing chemicals. 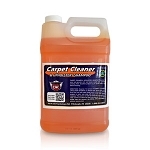 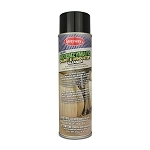 Our car carpet stain remover works great and quickly breaks-down grease, lipstick, tar, red stains and protein spills. 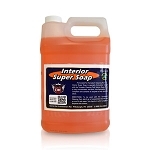 Our car interior cleaning products are available in both liquids and aerosol versions. 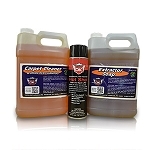 Purchasing a new extractor and not sure what Mytee system maintainer products you need? 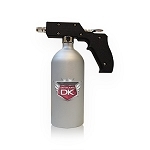 Well we have made it easy for you to get started correctly. 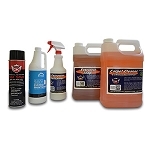 Our Extractor Chemical & Maintenance Deluxe Kit includes everything you need to get your interiors prepped & cleaned while optimizing your extractors performance! 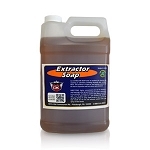 Our Car Interior Cleaning Kit is exactly what you will need to use to obtain professional results if purchasing an extractor. 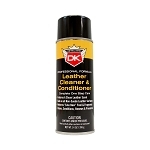 Our interior cleaning kit has all three core DK interior products needed to make your customers vehicles look great, no matter how dirty they are! 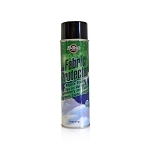 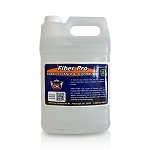 This Hi-Tech Fabric Protector is the perfect choice for protecting carpet and upholstery fabric. 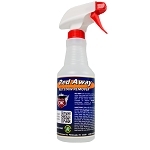 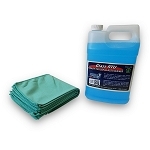 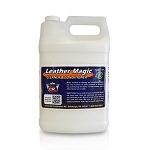 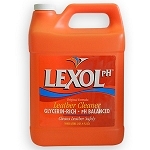 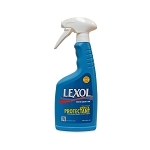 This product is synthesized to protect fabric from staining cause by oil, grease, dirt, and beverage spills. 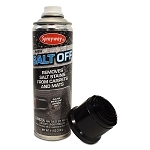 This product cause liquids to run off allowing for easy removal by towel or sponge. 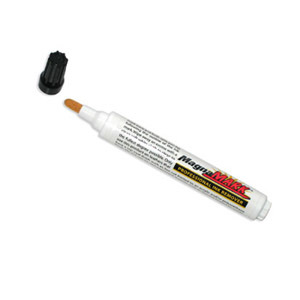 Our Chewing Gum Remover will effectively remove gum, candle wax and crayon from surfaces by freezing the substance so it can be cracked off. 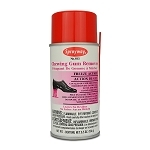 This product leaves no residue and has a pleasant cherry scent. 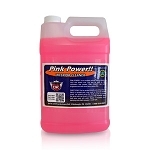 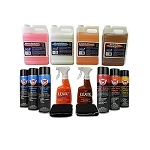 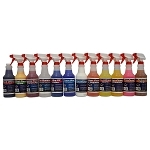 With this package you receive ten of our most popular car interior cleaning chemicals and dressings. 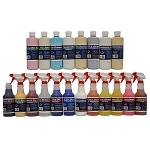 When purchasing this package you will save 10%, versus purchasing each item individually.